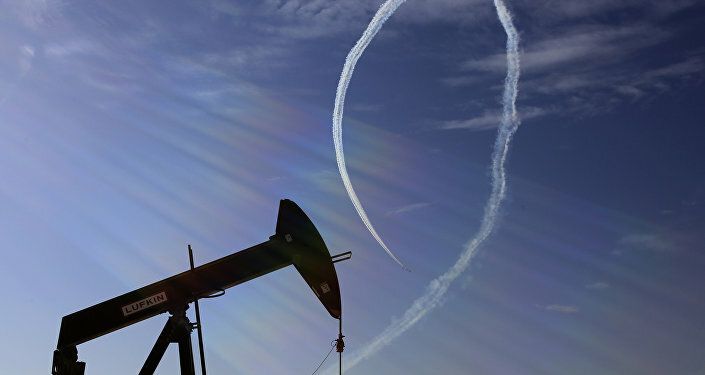 Kristian Rouz — International oil prices are on the retreat Monday morning after the Brent benchmark hit a new five-month high over the weekend. Pessimistic projections of slowing global economic growth are seen as weighing on fuel prices worldwide as experts forecast modest demand over the next few months, but supply constraints could offset the demand woes, supporting prices in the medium-term. Brent oil benchmarks inched lower in London trading Monday, having dropped 0.1 percent to $71.46/bbl, while US oil retreated 0.4 percent to $63.63 overnight. Experts say the reignited fighting in Libya could affect oil production, pipeline infrastructure and shipments, which would support prices at their current levels. However, an ongoing cooling of manufacturing activity in Germany and across the Eurozone, a moderation in US economic growth, along with the risks posed by Brexit and international trade tensions have put downward pressure on oil. "I would expect oil to trade in a relatively tight band around $70/bbl for the time being," Virendra Chauhan of Singapore-based Energy Aspects said. Oil prices are currently up more than 30 percent year-to-date due to the output cuts put in place by OPEC and Russia, steady demand from China, and expectations of higher demand in the US ahead of the summer driving season. US oil prices have risen by 41 percent since the beginning of this year due to the lack of pipeline infrastructure and underperforming oil refining — rendering petrol prices higher as well. UK oil is up 32 percent over the same period. However, the US has continued to increase its oil output, supported by high prices. Last week, according to energy consultancy Baker Hughes, US drillers commissioned 15 new oil rigs, and added two more this week already. Additionally, the Energy Information Administration (EIA) said, US production hit a new high last week at 12.2 mln bpd. These latest developments in North America add downward pressure on oil prices, which could contain any possible gains stemming from the Libyan conflict and the potential increases in fuel demand during the upcoming summer months. "Leading edge indicators on US supply suggest activity levels are stepping up, which is supportive for strong production growth in the second half," Chauhan said. Meanwhile, US investment bank Goldman Sachs revised upwards its average oil price estimate for this year, saying, however, that crude is unlikely to settle around $80/bbl. Goldman cited OPEC's 'shock and awe' approach to supply cuts, which has so far provided a greater support to prices than previously expected. Additionally, analysts said US sanctions on Iran and Venezuela could support prices despite the expectations of falling global demand. "While the macro risk-on environment and the threat of disruptions may drive spot prices even higher, we still expect that prices will decline gradually from this summer as shale and OPEC production increases," Goldman analysts wrote in a report last week. For his part, Russia Finance Minister Anton Siluanov said his country, along with OPEC, could temporarily boost production to cash in on current prices and increase their market share amid rising US oil exports. However, such a move could reduce oil prices to as low as $40/bbl, and it's unclear whether OPEC member-states would agree, as Saudi officials reaffirmed their commitment to cutting output even deeper. The next meeting between OPEC and Russia is slated for June, and officials are expected to discuss future policy steps after several months of a solid recovery in oil prices.